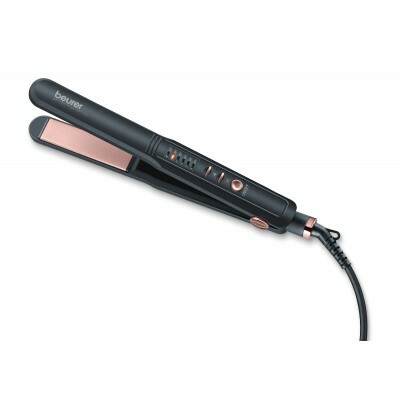 With this unit you can straighten your hair quickly and gently and shape it as you wish. The 360° rotatable joint on the mains cable makes for flexible use of the straightener. 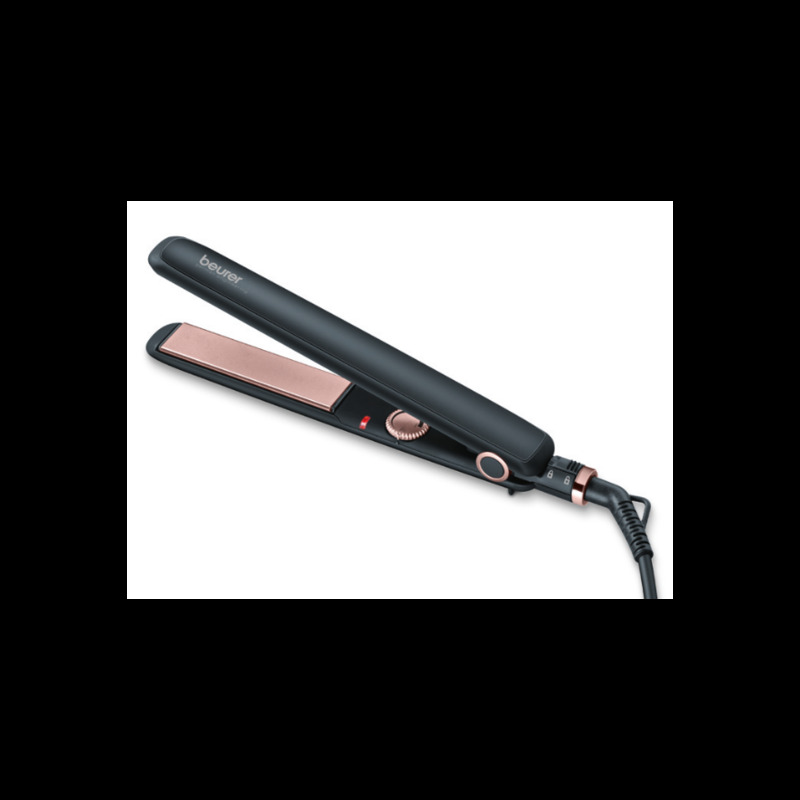 The ceramic-coated heating plates have tourmaline crystals and make it especially easy for the straightener to glide through your hair. 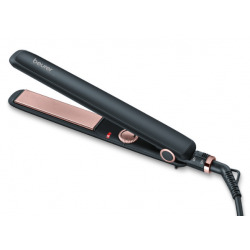 Tourmaline crystals release natural ions that provide for sleek hair with a silky shine. The straightener has a short warm-up phase and is ready for use after only a few seconds. 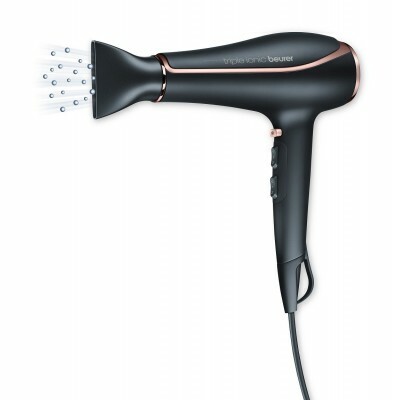 Variable temperature levels (from about 100 to 200°C) enable professional styling of diverse hair types. An automatic shutoff protects the unit from overheating.